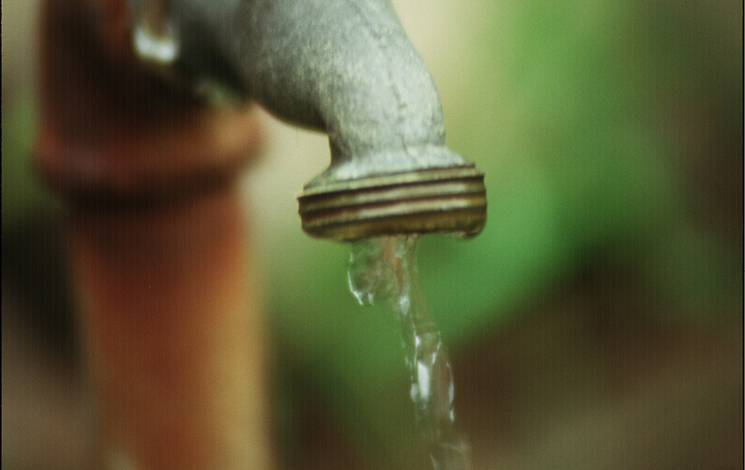 Leaks in your water system mean you're paying for water you don't use. Your water meter measures it all, even water that slips away. As a responsible property owner, it’s a good idea to monitor your normal water use so you can recognize unusually high water use that might suggest leaks. Check your water usage on your utility statement as soon as you receive a quarterly bill. To receive your bill electronically instead of by mail, sign up using MyDistrict. Track usage monthly and watch your water consumptions trends online using MyDistrict. Other times it is the result of a slow leak, a sudden indoor leak or a sudden outdoor leak. You can usually determine why your water bill increased by looking at your meter readings over time. Look for trends: Does your water bill increase in the summer every year? This is likely due to outdoor water use, such as irrigation. Has your water bill increased slowly over time? You may have a slow leak. Check your toilets and faucets. Did your water use increase suddenly and then drop back to normal? This could be explained by filling a pool, power washing or accidentally leaving a hose running. Use MyDistrict to find out your actual monthly water use. Monthly readings are generally available within the first week of the following month. Find your monthly water use under the Readings tab on your online Utility bill. Water is measured in cubic metres (1,000 litres). If you've recently repaired a leak on the main service connection between your water meter and your home, you may be eligible for a leak adjustment to your metered water utility fee. Your adjustment application is received by the due date on your most recent utility statement. Please note that leak adjustment rebates will not be provided for leaks inside your home, outside water features like pools or ponds or for irrigation system leaks. As a property owner, it is your responsibility to ensure that plumbing on your property, including any irrigation systems, remains in good working order to prevent wasted water due to leaks. For more ways to save water, and money, see the information on water conservation. Listen. If you hear running water while the toilet is not being used, you may have a leak. Add food colouring to the toilet tank and wait 30 minutes. If coloured water appears in your toilet bowl, you may have a leak. Toilet leaks are generally easy and inexpensive to repair. Contact your local hardware store or a plumber for advice on how to repair the leak. Check your faucets and pipes periodically. Watch for drips and quickly replace faulty parts. A leaking faucet can waste hundreds of litres of water each week. Leaking irrigation systems can cause significant water loss and drain your wallet. Check your irrigation system for leaks regularly. Pooling water or wet patches on your lawn that do not dry could be signs that your sprinkler system is leaking. Contact an irrigation company for a system check-up. These devices can be purchased at your local hardware store and placed under major household appliances that are prone to leaks. The device alerts you as soon as water starts to collect underneath the appliance. MyDistrict is a new way to access your District of West Vancouver accounts online 24 hours a day, 7 days a week. Irrigation systems and irrigation leaks are the most common cause of a spike in your water bill. Check out the Irrigation tab for more information.